Thanks for helping out with both our Wedding a few weeks ago and our Engagement Party last year. The wedding obviously required a bit more detail when it came to certain songs Eric was spot on! Thank you guys for help - really made our night that extra bit special! Great with communicating. ALL my favourite songs were played, and none of the songs I don't like were played. Ben was great, very friendly and professional. So great to deal with, we are very impressed. The mix of music was exactly what we wanted. Some old, some new, some Rammstein!!! The lights added to the atmosphere and they catered to any requests. One thing that I appreciated was being asked at the start of the night if they could accept requests and what boundaries we wanted. Highly recommended. I highly recommend DJ Masters. Their communication and professionalism was fantastic but the best part is I have received positive feedback from my guests - which is what counts! Loved, loved, loved DJ Eric from DJ Masters. We got referred through a friend and we were so happy! This was definitely a highlight. We had so much fun, DJ Eric was so easy to work with and he had an amazing selection of music. The dance floor was packed the whole time! DJ Eric also served as our Master of Ceremonies and he did so well! Highly recommend him and DJ Masters as a whole! Great company to work with! Our Wedding entertainment was DJ Masters and I could not Thank them/Sam enough. Easy and straight forward to deal with and people are still commenting on how great the music was that night. I was especially pleased and will be recommending their services to others. We had a great time. Thank-You! We had DJ Masters play at our wedding reception. Adam was fantastic- he stuck to our request of playing songs that didn't contain inappropriate language and kept the volume at appropriate levels (lower during meal/social times, bit louder for dancing time). Very professional! Adam was our DJ and MC for the night and he was so professional, always selecting the right songs. We have received so many compliments about how GREAT he was. Would definitely recommend and use again! We just wanted take the time to thank you again for your efforts at our wedding, many people commented on the night and afterwards on how good the music was, and we agree, it couldn’t have been better! We had so much fun, it was a shame it had to end! We wouldn’t hesitate to recommend you to anyone else getting married in Melbourne. Thank you so much for assisting us with our wedding. We had a fantastic night and it all worked out perfectly. Everyone seemed to be having a great time and you did extremely well with the music and keeping everyone on the dance floor all night. So thank you again. The speeches were great weren’t they, and so unpredicted so you know it came from the heart. I think everyone was so overwhelmed. Thank you again and we will keep you in mind for any future occasions. I wanted to say a big thank you for all that you did for Darrell and I on our Wedding night. Even though we did not decide on what music we wanted to be played on the night, you followed the mood of the crowd and I must say it was extremely enjoyable. I have never seen so many people on the dance floor like that before so I can definitely say that I will be recommending you to anyone that needs a DJ for their wedding. You took all of the stress out of the day and were extremely professional. It felt like an actual friend was working as the DJ, you are such a lovely person & we really appreciated the job you did- you seem to make the night run smoothly. We will definitely recommend you to anyone requiring a DJ or even an MC, thanks for your professionalism, kindness & adding that special touch to our night. Look forward to seeing you soon, no doubt we will be organising you for our Christmas work function again this year. We just wanted to say thank you for all your help on the night of our wedding. It was a really great night and everyone had a fantastic time which is certainly in part to your service on the night. One of my friends actually thought we you must have been one of our close friends, as you seemed intimately involved in the night. Once again thanks again. If anyone I know is looking for a DJ we will certainly recommend you. Eliza and I would like to thank you once again for the job you did on our wedding night. You did a fantastic job and everyone had a fun time dancing. Thank you for helping make our wedding day so perfect. We were so impressed by your service, and had such a great evening. We would not hesitate to recommend you to friends and family in the future. We just want to thank you so very much for being such a fantastic DJ for our wedding! You listened to everything we requested (which I guess wasn't that much) and I thought you read the crowd really well with the music you played. I especially loved it during the speeches when you played a song for each person that spoke, that was really cool and totally unexpected which made it so much better! All our guests had a really great time and I had a lot of positive comments about how well you did. I couldn't have asked for a better evening! I wouldn't hesitate to recommend you to everyone we know! I really can't thank you enough for how great you are. You definitely helped contribute to a very memorable night for myself and Michael! I'd like to thank you very much for DJing our wedding. Your music played was amazing and I received a lot of compliments from family and friends. Thanks again for everything, it was nice to organise our wedding entertainment with you (even though it was a year earlier than usual) ha ha. Adam and I just wanted to thank you for your DJ services at our wedding. Your professionalism and experience were most appreciated and we wouldn't hesitate to recommend you (or call on you again in the future!). Thanks again for doing a superb job. We were really impressed with your services, from the professional look, to playing the music, to even getting everyone involved. I know that everyone had a great time mate, and the way you go about your work goes a long long way to making the party. It is good to be able to relax and enjoy a party when you know that you have a great DJ. We will definitely contact you for any future parties/events, and recommend you to any other people who are looking for a DJ. We were assigned Aydin on our special day and he was fantastic. Organised, professional and provided the guests with great music to dance too. Everything went exactly as planned. All of our guests have been telling us how much fun they had. This was mainly down to the entertainment on offer towards the end of the night. Pretty much everyone was on the dance floor having a great time. This was down to DJ Masters and their mixing skills! These guys were fantastic. Our DJ on the night was excellent and prior to the wedding their communication and organising a few extra things was done for us without trouble. Excellent company and we highly recommend. We were so happy with DJ Masters, especially Eric. His MC Service's was professional and fun at the same time. On the night he was very cooperative with any changes we wanted to make. The dance floor was full! Joanna was fantastic as our DJ and read the crowd beautifully. She had our guests up and dancing and played made it a night to remember. Thank you Joanna!!! You guys were amazing and could not have asked for a better DJ. You listened to what songs we liked and chose your own absolute bangers! The dance floor was full all night and can't thank you enough! Working with DJ Masters was great. Sam communicated well in the lead up to our big day, and made sure they had everything needed for the night to run smoothly. Our DJ, Joanna, worked really well with our two MCs, and she checked in to confirm all of our requirements before the night began. In no time she had our guests up on the dance floor! Thanks, Joanna! One of our best suppliers. We had the pre wedding meeting option- it was definitely worth it. We had lots of compliments on our DJ David. He was professional, organised and fun! David did a great job MCing and DJing at our wedding. On the ball and never far away when we needed him! Our guests danced the night away and there was never a moment when the dance floor was empty! My best friend has since booked him for her wedding! The Park Hyatt recommended DJ Masters for our MC and DJ and we we're very impressed with their work! DJ Liam (and assistant) were pumping out great tunes all night long. Our music taste is a bit all over the place but they did a great job accommodating for everyone! Our DJ on the night, Eric, was the best! We gave minimal direction and input before the wedding and everything he played was great. Everyone was ripping up the dance floor, and there were plenty of sing-alongs and old school dance moves being pulled – even by the quiet people who don't dance! We received so many comments about how fun the night and the music was, and there were plenty of sore feet and hoarse voices the next day! Nothing but praise for DJ Masters, Brendan was very Professional and a wonderful MC. I could not fault him. DJ Masters have great music selections and played all the songs we wanted. Brendan's MC Skills were fantastic and have had a lot of positive feedback from the guests. Recommend to anyone. Thank you to our DJ and MC Casey for making our wedding reception so memorable. He did a fantastic job and we had so much good feedback from our guests about him. The night ran very smoothly and everything was so well organised by him. We also asked him to play a mix of two songs for our first dance and he catered to that beautifully. The choice of dance music was also great, we couldn't have asked for anything to be done differently. Love their service. DJ Eric was very accommodating and friendly, a good DJ and MC. Choices of music was spot on. Everyone was dancing throughout the night. DJ Adam was a wonderful DJ/MC. Made sure the night went smoothly and worked seamlessly with the venue. DJ Masters were professional, responsive and exactly what we needed in a DJ. Alex was fantastic on the night as both DJ and MC, picking out a fantastic mix of tunes and keeping the reception flowing. He listened to all our requests and remembered all details with ease. Thank you for making our night so much fun, the dance floor was hopping! DJ Masters was super helpful in organising for my wedding. They were professional and made everything easy. On the night he played all the songs I wanted played and didn’t miss a beat with cues for the special songs (such as cake cutting and bridal entrance). DJ Masters were great! We had DJ Aydin and he had the dance floor going all night. Played all our 'must play' songs and read the crowd well. Jack was fantastic. Music genre was exactly what we wanted. A party atmosphere with RnB/Latin tunes. Absolutely fantastic service from Casey our DJ on Saturday. He was polite, well dressed and professional. Easy to work with and stuck to the very specific list we gave him. He was extremely friendly and checked in on us a couple of days before to see if there were any changes. Really skilled at his work and gave a great vibe on the dance floor. Was flexible when we asked him to play a bit longer as well. Also thank Liam for all his assistance leading up to the day. Great agency and great DJ's. Highly recommend. Eric was a great DJ! He had the whole group up and dancing. He worked harmoniously with our MC who was a friend of ours and the best bit was when we requested some Indian music to dance to he didn't hesitate to play for us! Everyone had fun. Absolutely great value DJ services! We had an amazing night at our work xmas event, everything went smoothly. Thanks to DJ Masters, the music was perfectly suited for the guests and everyone was really enjoying the night.  I would totally recommend working with DJ Masters to anyone looking for a professional DJ for an event. They are very friendly, organised and really have passion for what they do! Could not recommend DJ Masters enough. Working with DJ Masters was a pleasure prior to my wedding. Prompt communication and was very organised. The DJ on the night was great, professional and worked well with guest's music requests. Everyone was dancing and had a great time. Thanks again! Great service from DJ Masters. Thanks for all your help organising in the lead up to our event. DJ was knowledgeable and read the crowd well which lead to dance floor being packed all night long!!! Highly recommend and thanks again. I had Eric from DJ Masters for my wedding last week. I was very pleased with the MCing as well as the music. He was able to read the crowd and played suitable music, working within venue constraints. Wanted to thank DJ Masters for helping out with both our Wedding a few weeks ago and our Engagement Party last year. Both DJ's (Liam for the EP and Eric for the wedding were fantastic). The wedding obviously required a bit more detail when it came to certain songs being played, etc and Eric was spot on! Thank you guys for help - really made our night that extra bit special! They where awesome and really had the place going, will be hiring them again. Adam was helpful and flexible. With only a small amount of information transformed the night into the best wedding party we could ask for. Great service. Great communication leading up to the event and Adam, our DJ on the night was great, organised, well dressed and very professional. All our guests was dancing and had a fun night! Thank you DJ Masters! DJ Masters were great! Played exactly what we wanted and the MC was very entertaining. DJ Masters were fantastic to deal with. I was super picky with my music and they were more than happy to help. Liam is very organised and our DJ Michael was fantastic on the night. We were pleased we chose DJ Masters for our reception. Brendan was very professional, helpful and easy to deal with, and the DJ on the night was professional and did a really good job. Brilliant, absolutely brilliant! We had a distinct music taste we wanted catered for and we needed an MC. We sent them through all the details though and they were brilliant. DJ Masters were great! Professional, affordable and flexible. Highly recommend. We used DJ Masters for a corporate function on Friday and they were so accommodating. Teagan was our DJ and she got everyone up and dancing, she happily took requests and played exactly what we were after. I would highly recommend them. A very big thank you to the guys at DJ Masters! We had a fantastic day and they played everything that we asked and the dance floor was always full! Robert and I would just like to thank you for everything you did at our wedding. The music mix was great, everyone was very impressed. Thanks for checking with us before each section of the evening to help remind us of what was next. We had a great time. You will be highly recommended by us for future functions. Thanks again. DJ Masters were everything we wanted for our wedding DJ. He had a great set up, a good selection of music and was polite and easy to deal with. Would recommend him for any upcoming wedding. DJ Adam was our DJ for the night, and he did a fantastic job keeping us all dancing the whole night! Adam and Sam were both very easy to deal with and provided a huge list of songs to choose from to make the night as personal as possible! DJ Masters was the right choice for music at our wedding reception. DJ Masters listened to our requests and ensured it was delivered on the night. With a wide range of music selections, we had all the songs we selected to be played throughout the night. Very professional and great communication. Guys did an amazing job at our wedding. Music was great all night. FANTASTIC! DJ Masters really made our night amazing, couldn't be happier with their services. Fabulous music played on the night. Well organised and very professional. Highly recommend. DJ Masters was great to work with and did a fantastic job on the night. Thank you! DJ Masters were a pleasure to deal with and Dj Eric was a superstar! Knew just what to play as the night progressed! Thank you DJ Masters! We had Adam on the night and he was fantastic and professional of course! The communication was wonderful and he made sure our requests were played on the night. Very professional, helpful and great tunes & a great variety!! Amazing! Very happy with their service!! Did the job well, music had everyone on the dance floor dancing the night away. Liam was so helpful and patient with all my questions. We had DJ Jess on the night and she was lovely - very easy-going and worked incredibly well with my MC on the night. Very professional. Great music variety. Listened to our preferences and kept requests on track. Very affordable. Highly recommend. Absolutely awesome. Mitch who was our DJ had everyone up and dancing. He was amazing, keeping us in the loop with time and what we wanted to do. We never felt that we had to worry about the music. We had DJ Dave and he was very professional and knew how to read the crowd and play the right music. He was also our MC for the night. Our package included a meeting to discuss what we like and don’t like. Highly recommend DJ Dave. Great to deal with. Our DJ/MC (Michael) was great on the night! Thank you! Liam's communication from the start was professional and in a timely manner. The real star for us was Premium DJ Shia who listened to our preferences, played all the right songs at the right time, kept the party going and did a great job with the MC duties. Thanks so much! Liam was fantastic and helped me feel relaxed on the night. The DJ we had was very enthusiastic. Very accommodating to our time. Wonderful service by Eric, our DJ and MC for the night. Thank you for the fun tunes to get our guests up and jumping on the dance floor. Liam and his team were easy to communicate with and the music on the night was fantastic. Just wanted to say a huge thank you to you all for our recent wedding. Right from the beginning your organisation and coordination of the event has been fantastic. Our DJ for the night heeded our requests of sticking to songs that didn't have inappropriate language and played a variety of songs. We were very happy with the services you provided us and we would happily recommend you to others. The DJ Masters team were fantastic with us. The team were great prior to the day - very very patient with us. We had DJ Tom who was great - called for a chat prior to the day, and then judged the mood perfectly - everyone loved the music played. We had our own MC, and Tom worked really well with him as well. Thanks so much guys! Highly recommend their service. The DJ/MC service was impeccable. Played all the songs we requested. Thanks so much. We had DJ Kuz as our DJ and MC, he was great!! Great night! Very professional, on time & very accommodating. Thanks Tom. They were perfect. Really good on the night! Did a great job for the whole night. Did MC as well for us. They were excellent. They followed my list and read the crowd well! Liam was really cool! He was so awesome, and really went above and beyond. He read the crowd well!! DJ Masters are brilliant!! Mitch was our DJ & MC and absolutely nailed the brief. He was friendly, professional, organised and really great to deal with. Mitch speaks Italian which was a real bonus for us. Can't recommend DJ Masters highly enough. Thank you to DJ Kiel who entertained our guests throughout our reception. He arrived at the venue early to set up his equipment and conducted tests to ensure that the night ran smoothly. DJ Kiel was energetic and fun - our guests enjoyed his music mix and MC skills during the night. DJ Casey was fantastic, he played all the music we requested and read the mood of the crowd really well by playing something for everyone and keeping the crowd on the dance floor. He was also very professional. Shia was very professional and had the dance floor full all night. Casey was our DJ and he was a delight! Thank you for a job well done. I wanted music to be going the whole night and I thought they were great for the price. From 4pm until 12am and it was so so cheap. Well mannered, well dressed. They kept me informed about everything and asked me what I liked to be played. I looked at their website and their advertising helped us choose them. Great job DJ Matt, excellent MC work and played songs as we requested. Everyone was super happy with what was played. Hired DJ Masters a few months before our date. They were professional and took all song requests and suggestions. Our DJ- Shia- helped our MC along on the night and was flexible with the music we wanted played. Great on the day with a fun DJ and a good setup at the venue. The music was great for the fun dancing crowd, and it was lovely getting suggestions for special moments. Great fun! DJ Masters was great in organising a package to suit our needs and a time to meet with the DJ - the music provided on the night was exactly what we wanted - we had a running sheet though to provide which I think helped and would recommend everyone to do (should be aided by your venue)! Thank you so much to Casey, our DJ and MC for the night. He was a great MC and even better DJ. Played all the songs we wanted and had everyone up dancing all night. So easy to work with. Thanks Casey! Our DJ played all the songs we asked for and had people dancing all night - which is just what we wanted! Very happy with the service provided by Liam and Tom from DJ Masters. Liam was extremely helpful in the lead up to the day and Tom was fantastic on the night. He listened to what we liked and added some great music on his own. Thanks Liam and Tom! Great price and great service. Our DJ had all of our guests up and dancing and everyone had a blast. Rachel was fantastic, thank you for making our day amazing! We had DJ Tom who was fantastic, he was our DJ as well as our MC for the night. He was very professional and everything ran so smoothly. Professional, keeps to timeline. DJ Sammy was great! DJ Masters were perfect for our night. I had a father daughter dance and they were happy to help out making a CD for us so we could practice. Along with ourselves and our guests everyone raved about the DJ, he played great music and the guests were dancing all night long. Emily from DJMasters was wonderful to deal with! She was friendly, quick to respond, and very helpful. Our DJ on the day also acted as our MC, he played all the music we requested for, kept to the genre that we liked, and was spontaneous with his MCing. Great work! Gemma was great to work with as our DJ and MC of the night. music choices were fantastic, all the requested songs were played on the night and all the guests have gotten up to the dance floors and had a blast! Perfect. Sam was great through the whole process. Thank you. First class! Great music and stayed all night for a cheap price. DJ did every song we asked and added more from his list which suited perfectly. Emily was also so easy to contact and sort things out with. The guys at DJ Masters were brilliant. Took care of the music and DJ requirements perfectly. Everyone who attended had a great time dancing the night away! Perfect! Well priced and DJ Amelia was great! Emily was a wonderful DJ she gave us so many options and really made sure we were happy with the end result on the day. I highly recommend DJ Masters for any function. Awesome music and service throughout the night! Great friendly DJ. Play all the songs we wanted even go out of their way to get songs off the soundtrack! He definitely made the crowd dance all night! DJ Masters came highly recommended and they did not disappoint! DJ Gemma was our MC/DJ and did a fantastic job! VERY PROFESSIONAL. Our DJ was fantastic! He played a great variety of music and even included some Indian music for the relatives! SO easy to work and highly recommended! Was extremely happy with Liam. He was very professional and the music that was played was great! Terrific service. Gemma was great, she played exactly what we wanted, was friendly but professional. Highly recommended. Very professional, organised and great to work with! Easy to deal with, best music! Emily was a fabulous DJ. She took all our comments and favourites on board, and provided a perfect mix! The team at DJ Masters were great to work with! Very professional and their MC services were flawless. Emily was great to deal with in the planning process and on the night our DJ Amelia was lovely and did a fantastic job! Communication was fantastic. Amelia was a great DJ. Highly recommend this company to all. DJ Masters were awesome!!! We had DJ Ben who I would highly recommend. The service was professional & got everyone at our wedding up and dancing. Brendan was very professional and attentive to what we wanted. We had DJ Lena and she was fantastic!! We didn’t want "standard" music & she listed to what we wanted & got the party started. Our guests loved the music. Highly recommend this company & DJ Lena. Brendan was easy to deal with from day one! Responded promptly to our queries. On the night we had Ephie who played all our requested songs and responded to guest requests! Everyone was up and dancing and having a blast! Sammi did such an amazing job, everyone danced the whole night! It was perfect. Brendan did a fantastic job as MC, he had everyone laughing and was very entertaining. He really listened to what we were after and allowed us to choose most of the music which was great as I really wanted the songs played to reflect our wedding and what it meant to us, even right down to the dance music. Sammi was amazing kept the party atmosphere all night. Great music and heaps of fun!! Brendan and his assistant Antonio worked as MC/DJ at our small wedding. Our bridal party was late to arrive and Brendan revised the format for us. The music we requested was played. They organised equipment so we could play some songs. They were very professional! Brendan has a lovely voice! Zoe was our DJ and she was great!! Thank you, you made our night go off with a bang! You played the music at the right times and got everyone up and dancing!! I received many compliments from our family and friends with Liam our DJ for our wedding reception. The music we selected kept all of our guests dancing through the night. Thanks Liam. I just wanted to thank you for Saturday night. Andrew and I have received so many comments on how great the music was! Daniel and I just wanted to say thank you so much for last night. You did a fantastic job and everyone had a great time dancing to the music. We really appreciate the effort you put in to out wedding day. Sorry we didn't get to say goodbye last night. I just wanted to write a quick thank you note to you & George for providing DJ services at our wedding! I heard from many guests that they had a blast dancing to all the tunes , and i really appreciated that George gave me a couple calls prior to the wedding - to introduce himself and to confirm everything. He did a great job on the night, and again, thank you so much for your services! We were thoroughly delighted and impressed by your DJ who did a stellar job at our wedding reception last night. He read the mood of the room right, picked an awesome playlist and was very courteous and consultative (asking us how to pronounce difficult surnames.) We also had guests with special needs who had their song requests listened to and to see your DJ put a smile on their face as their favourite song was played was a real joy. Well done! Big thanks also to you guys for helping us out a late notice. You made our wedding reception so much fun. We would highly recommend DJ Masters to anyone considering hosting a party! Thank you very much for helping to make our night so special. You have had nothing but great customer service from your company and we will recommend you to friends and family. Thank you DJ Masters, it was great having you guys there and you got everyone dancing which was fabulous!! Thanks for making our first dance memorable - smooth transition and mix! Love your work! We would like to thank you for helping make Jacob's 18th and Sam's 50th so amazing. The DJ was amazing, he was so fantastic, he played songs when requested and was able to read the crowd so well. Thanks so much for such amazing people definitely first class and will always use your company in the future. Look forward to working with you again soon. Thank you for being a fantastic DJ and keeping the songs playing all night :) There was a great mix of music in there and you were fantastic at reading the crowd. Your professionalism was duly noted and your none intrusive, yet extremely friendly presence was much appreciated. You definitely helped to add to the wonderful night. I would definitely use you in the future and will be highly recommending you (& DJ Masters) to others. Thanks again. We just wanted to take this opportunity to Thank You for the wonderful job you did at our wedding at Potters Receptions on Friday. You were an absolute pleasure to deal with from our initial meeting right through to the last song played at the wedding. We'd like to Thank You in particular for constantly keeping us updated during the evening as to where were time-wise. Knowing that we had 10mins before speeches and 15mins before the cake cutting, etc, helped put Ryan and I at ease. All of our guests also commented on the great job you did, and in particular, the way the music was low enough during dinner so that they could hear it but also be able to speak to the person sitting next to them, without the need to shout, which is what occurs at most other weddings. DJ Masters as a company has also been terrific to work with, always replying promptly to enquiries and sending receipts of payment within 12hours. We will highly recommend DJ Masters to anyone we know who are getting married in the future. I just wanted to send you a message to say a massive thank you for last night. You were fantastic, played great music and was a pleasure to have there.. Thanks again.. Liam, thanks also for your help in the lead up.. I would be more than happy to write a review for guys when we get back from our honeymoon in a week..
We would like to say a big thank you to you and a very big thank your team and the DJ, he had everything organised beautifully and did a fantastic job as MC and of course as the DJ. We are very grateful and had a fantastic day. We would like to note that his enthusiasm and passion was a breath of fresh air. We cannot thank DJ Masters enough for your work at our wedding. We highly recommend DJ Masters and specifically DJ Adam. Adam was a pleasure to do with both in the lead up to and on the night of our wedding, not that either of us got to talk to him much on the night. We loved the music Adam selected as the night progressed, as did the guests! Adam was very good at responding to the mood of those on the dancefloor which kept everyone dancing the night away. We are so pleased that DJ Masters was our DJ! Karl and I would like to say a massive thank you for providing an amazing service and dance music at our wedding on Saturday! We wanted heaps of people on the dance floor and you made that happen. Thank you for all your correspondence along the way and for making our night fantastic. I would highly recommend DJ Masters to anyone. I wanted to write to you to thank you very much for the service you provided for our wedding on Saturday. We absolutely had the night of our lives and we thank you for being a part of it! Your professional service in the lead up to and on the day of our wedding are very much appreciated. Our DJ was really fantastic. He figured out from our Star Wars entrance music and our Doctor Who cake toppers that it was a bit of a nerdy wedding. Because of this, he went to the effort of asking us how we'd like our guests to be greeted, and then went with our suggested time-travelling reference, which was really well received. That was such a lovely touch from him. Because it was a day wedding, there wasn't too much dancing for a while, but Harley persevered with some excellent music choices, and once people started dancing, everyone joined in; it was perfect!! So I really couldn't be happier with the work of DJ Masters - thank you very much for all of your efforts throughout this process. Just wanted to thank you again for helping make our wedding day an absolutely fantastic day and allowing it to run so smoothly. You did a fantastic job!! I just wanted to thank you very much for arranging David to DJ our wedding. David was amazing he did a fantastic job of playing the music we wanted. We have nothing but praise for his hard work the music made the night for us. Thanks again Emily looking forward to working with you in the future and I will continue to recommend your services. I just wanted to say thank you so much for all of your help with organising the music for our wedding! You did an amazing job! And our DJ was amazing!!! Everything was perfect and he was a fantastic MC also. Great job. Thanks again! I will definitely recommend you guys to everyone! We would just like to say thank you to Sam for a job well done! We were so pleased with the services at our wedding and received many compliments on the music selection. We will definitely recommend your services to family and friends. Thank you he did an amazing job we are very pleased. I have passed your details on to my wedding planner. Thanks again. Thank you so much for making it a fantastic night to remember! We really appreciated how accommodating you were with the music and including our nephews in the intros, couldn't have been better. Just want to say a big thank you for the great music service =) The DJ was just great! He was brilliant, played all the tracks I wanted and everyone had a good run on the dance floor. Just wanted to say thanks for your help with our wedding the music was a huge success and the DJ did a great job and with the MC side of it too. I may have sent you my speech by accident too, just getting used to my new phone. We wanted to thank you for your services for our wedding, Sam did a fantastic job on the night and everyone enjoyed themselves. Was great that he was able to accommodate our requests for Persian music too. Cheers! We just wanted to say a big thank you for the job you did being the DJ and MC at our wedding. You did a great job to have everyone dancing by the end of the night. So sorry that it has taken me so long to write - a huge THANK YOU from Adam and myself for being such a wonderful DJ at our wedding!!!!! You were just great, thank you for playing our favourite music and mixing it up for our guests who all had lots of fun on the dance floor. We had a wonderful day - if only it didn't go so quickly! Jason and I would like to say a big thank you for the wonderful job you did on Saturday night. We have had many compliments on how good you were and will have no hesitation in recommending you. The golf course was very impressed too and are going to recommend you for functions. All the best for the future. I just wanted to say a massive thank your to DJ Kiel, we had a great night and Kiel did a fantastic job. So many people made comments about how good the DJ was and how he pumped everyone up, Kiel you were great mate!! Just wanted to pass on to you how great David was on Saturday night. He knew exactly what music to play and when. He explained everything to the bridal party and what he was going to do, he interacted with the band perfectly and MC'd great. If anyone ever says they are looking for a DJ your company and his name will be given without a doubt. Thank you so much and to him for creating a terrific night, everyone has raved on about how great the party was and how the music never stopped! The crazy hour was an absolute hit too!! - Thanks again!! Just wanted to send you a quick note to say thank you so very much for the amazing job you did on Saturday night. You were so nice, calm, professional and fun and we couldn’t of been happier with the job you did. Just wanted to say a huge thank you for the music at our wedding, just coming back to work today, back to reality! but the music …. it was perfect and I couldn't have asked for anything more, super impressed from the get go .. thank you again for a night I will never forget. Brendan and I were just wanting to say a very big thank you for all of your help these last few months. The DJ's that you sent us last night were just absolutely amazing! They completely understood what we wanted played and the guests had a great time. The DJ was so calming and ensured the night ran as smoothly as possible (which it did!) He was an excellent MC as well.. Please pass on our thanks! It has been a crazy few days after the wedding with all our family down from overseas. Natalie and I have been constantly on the go, entertaining family and running around! I'm not sure what is worse in terms of craziness, the lead up to the wedding or entertaining the family afterwards!? Thank you for being our DJ on the night. The song choices that you made were absolutely brilliant! We had so much fun and I am pretty sure so did all our guests! The music is what brings people together, on the dance floor! Thank you Emily! Your contribution to our special day made it the perfect wedding Natalie and I could ask for. I would like to thank you for the excellent service we were provided leading up to the night of our wedding. You prompted me with questions that assisted with the proceeding for the night. Our DJ was absolutely amazing! She played all the music we loved - played requests for those who wanted extra special songs to dance to and she had such a warm and inviting personality. The night was all the more better because of the GREAT DJ/MC. Thanks to both of you I will certainly rave about you guys!!! It was my celebrant Bernadeen Hoogendoorn (whom I work with) who promoted your services and I thank her for that! I knew it was going to be a fantastic night when Sinnerman started playing! I could let go and realised some awesome women were handling the night! Apologies for my drunk brother. He was rather besotted and tends to think he is Superman like that. I loved meeting you. Thank you again so much for playing at our wedding! I'm so sorry I didn't get to talk to you properly at all. You did such an amazing job and everyone had such great things to say about you! I think everyone had a great time and I hope the marquee wasn't too hot for you in the end! Also did you get your dinner?? I forgot to check, I'm sorry! Thanks again and will definitely be recommending you to everyone I know! Thanks so much for such a wonderful night. We had so much fun dancing!!! I received so many compliments over the weekend on how good you were!! I really appreciate everything you did on Friday night. I will definitely be getting in touch with you if we have any future events! Thank you for doing such a great job!! Our wedding as certainly been the talking point for our guest for the past few days so we can't thank you enough!! We will be sure to recommend you to all our family and friends for their up coming events!! Robert and I would just like to thank you for everything you did on Sunday. The music mix was great, everyone was very impressed. Thanks for checking with us before each section of the evening to help remind us of what was next. We had a great time. You will be highly recommended by us for future functions. Thanks again. Just wanted to write and say thank you for the amazing job you did emceeing and dj-ing our wedding at Sovereign Hill. You jumped in on the job at the last minute - only the morning of, however, that was not evident on the outcome of the evening. We found you very approachable, friendly and personable and thank you for the effort you made to ensure the reception was personal and reflected us. Our only regret was that the venue was kicking us out at midnight. We would have loved to have stayed on and continued partying with you. Thanks again and I will not hesitate to recommend you and DJ Masters and will certainly be using you whenever I have a need for a dj and/or MC. Thanks again. Have only had a chance to contact you now, not long been back from our honeymoon and back at work. Thank you for DJ-ing our wedding, everything worked so well, and everyone had a great time!!! Thanks for all the little things you did to make it a memorable night for the two of us also!! Was so nice to have everything run so well, we are looking forward to getting our video to re-live it, as the whole night went just so fast! Thank you for our corporate entertainment. It was a fantastic night and the feedback has been very positive. The DJ was lovely and very easy to get along with, it really made the night. Menaka and I were very happy and most impressed with your friendliness and professionalism in the whole process and especially on the night, helping out in so many ways and fulfilling all requests, including mine of cranking it up while riding the bull!! Not to mention the birthday song requests (that happened to rid the party of all Pie supporters!!). I wish you every success in your endeavours and I will be singing (ahh if only we had Karaoke!) DJ Master praises for a long time to come. I have just been raving about you. You guys were terrific at my 50th and I could not have asked for anything more. Your professionalism was unsurpassed. Thanks so much for tolerating my 'control freakishness'. I will certainly recommend you to others and hopefully see you at another event - perhaps not the wedding if Andrew has anything to do with it haha. PS I had one person say to me that you wouldn't play Eagle Rock which I'm very pleased about as I don't like that song at all!